In fairness, it must be conceded that late-blooming Sunbelt cities can’t be held accountable for their comparatively short histories. It should also be allowed that it’s a lot harder to maintain tradition when more residents than not are Rust Belt refugees steeped far more deeply in the traditions of their origins than those of their adopted city. Dallas, though, seems more than most cities to view its past as an etch-a-sketch pad to be erased and rewritten at will. Perhaps that’s because it has, dating from the accounts of its earliest years, aspired less to be the first among Texas cities than to become the Big Apple of the Southwest. If Houston, Austin, Fort Worth and San Antonio seem thoroughly comfortable in their Texan-ness, Dallas often seems almost apologetic about it and bent upon transcending it. In Dallas there’s no Ghirardelli or Larimer Square and no French Quarter. No Pike Place Market or Gaslamp Quarter. Not even a Riverwalk, Sundance Square, Strand, or Sixth Street. 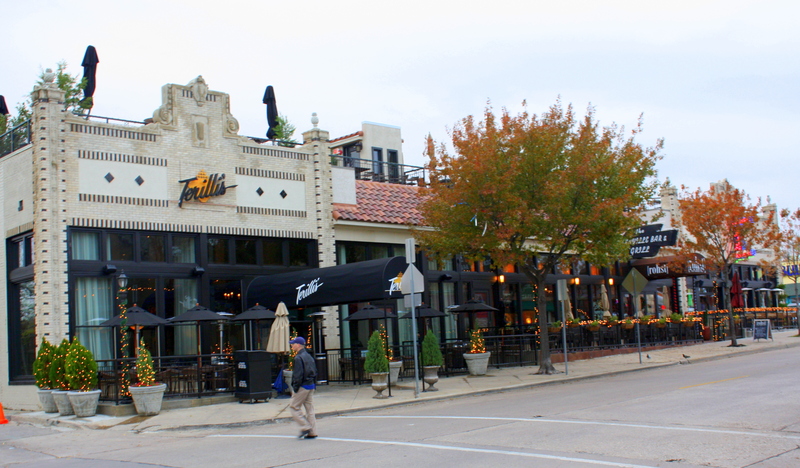 For its size Dallas has few historic residential neighborhoods (Lakewood and Bishop Arts are notable exceptions), and those like Southside on Lamar and West End are yet insufficient in density to support the merchants of retail goods and services that mark the difference between a residential complex and a vibrant, organic neighborhood. Almost nothing remains of the historic Cedars neighborhood and in less than 10 years many Oaklawn homes worthy of historic preservation have been razed and replaced by new townhomes or low-rise apartment buildings. Real estate developers and promoters from founder John Neely Bryan to Trammel Crowe have always been a prominent part of Dallas’s past, and it now often seems as if there’s no land in Dallas that can’t be repurposed for a new office skyscraper or luxury condos. While there seem too few attempts to assure that new construction in historic neighborhoods conforms to historic architecture, there are exceptions worthy of emulation. 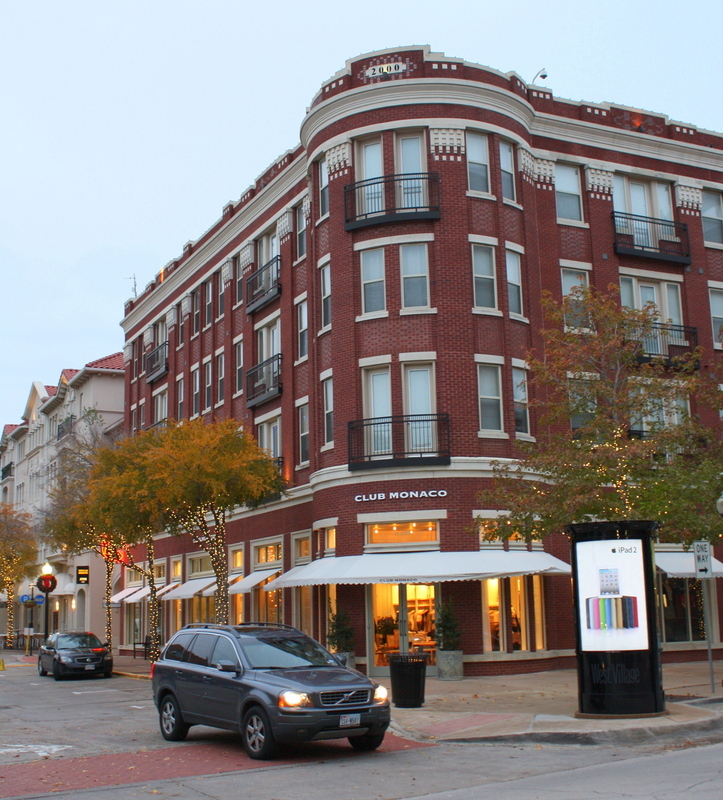 Dallas’s West Village, centered on McKinney @ Blackburn may be only 10 years old, but its developers far exceeded the just-enough-to-get-by standard in its design. 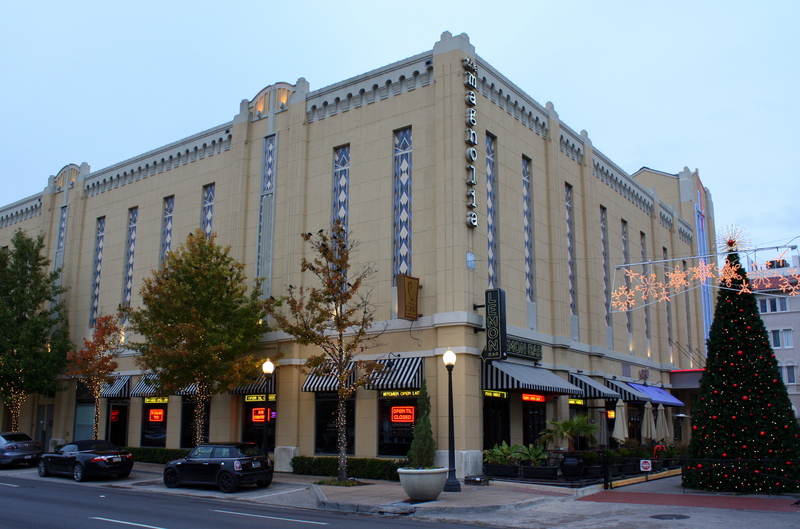 It has very much the look of a 1930’s neighborhood, and even though it’s only a couple of miles from Northpark Center has very much the feeling of a self-contained community. 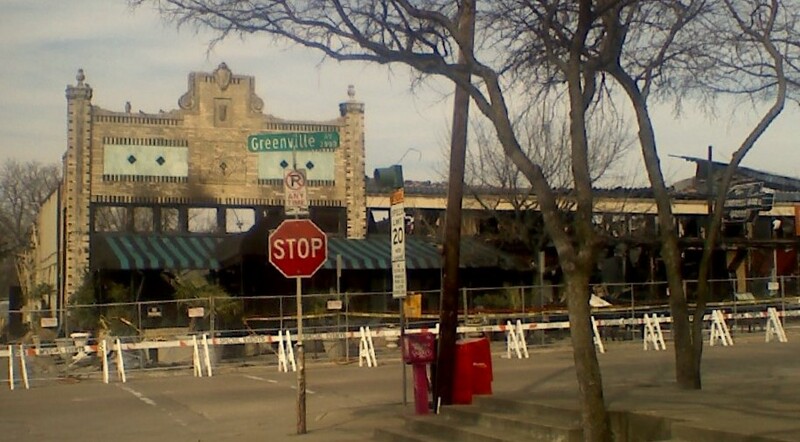 When Terilli’s Café, a longtime Greenville Avenue landmark, burned almost to the ground in the spring of 2010, its reconstruction conformed very closely to the original structure. It was such a revered icon of the community that neighbors donated funds to aid a speedy reconstruction, and proceeds from charity sales were sent as relief to waitstaff members made unemployed by the disaster. These are the kinds of landmarks that distinguish a neighborhood from just-another-complex and that make it memorable and continuously worthy of revisiting. They’re a lesson admirably embraced in the old town centers of McKinney, Frisco, and Lewisville, but sadly lost on the suburban developers of perfectly gridded streets and look-alike intersections always populated by the same chain retailers. And they’re a continuously available glimpse into the way we once were that helps us better understand where we’ve come from as a culture and informs where we’re next going.